He was born in Al Qunfudah province at the Red Sea coast in Makkah al Mukaramah region, in 1898 AD. Al Subban is renowned for his advocacy of general political, economic, and social reforms. His explicit views and demands for reform had cost him twenty two months in prison before he was released. 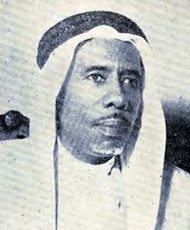 Al Subban is regarded as one of the pioneers of the developmental and economic work in KSA, as he founded a number of major corporations with developmental functions related to the modernization of the community and the country. He is the first publisher in the Arabian Peninsula, who was mainly concerned with the progress issue in the Arabian Peninsula. He worked as a Minister of Finance, he has a long record of achievements in the field of national action in KSA, and he also served as Secretary General of the Muslim World League.